Above you will find a small sample of that forest-mapping effort. 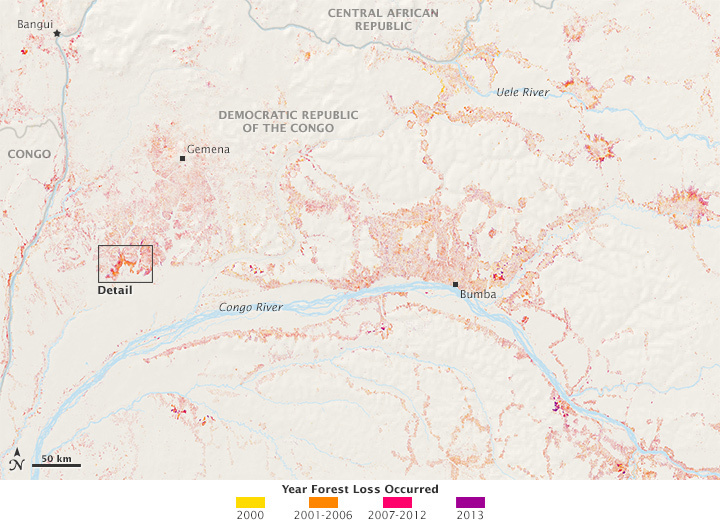 The maps show forest changes near the Congo River in central Africa as observed by Landsat between 2000–2013. 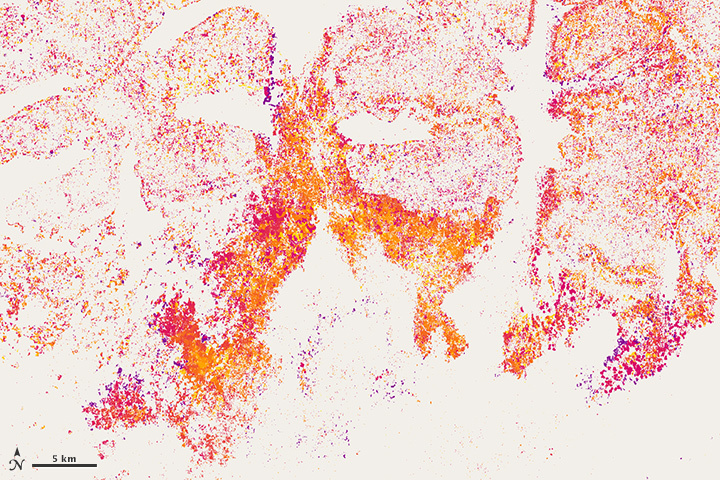 Different colors represent the years in which forest parcels changed; in most cases, the change was deforestation. The maps by Hansen and colleagues agree with other research on deforestation that says anywhere from 53 to 72 Teragrams of stored carbon (mostly trees) were removed from the Democratic Republic of the Congo (DRC) from 2000–2010). Most of the forest losses were due to cut-and-burn agriculture where small plots of land were cleared for subsistence farming or for the use of wood for fuel. Developing countries like the DRC typically do not have current national forest inventories, if they have any at all. Maps like the Hansen-led effort provide a global standard for mapping, while also filling a void for nations and institutions. 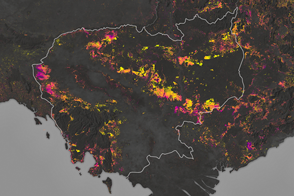 Armed with their data-rich maps, Hansen and colleagues would like to someday create a global forest loss alert system. The team is also working to develop tools to distinguish the causes of forest change—sich as fire, mechanical removal, disease, storms—from afar. 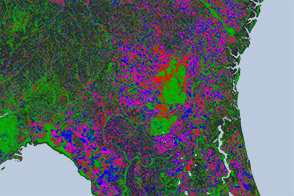 To learn more about forest mapping and other uses of the massive Landsat archive, read our latest feature: Big Data Helps Scientists Dig Deeper. 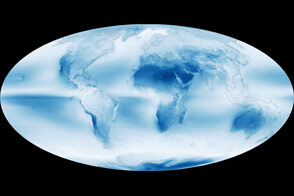 NASA Earth Observatory maps by Joshua Stevens using global forest change data from Hansen et al./UMD. Caption by Mike Carlowicz and Holli Riebeek. 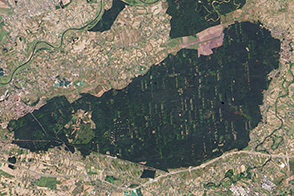 The opening of the Landsat data archive and a partnership with Google has allowed researchers to track the fine details of forest change around the world. Hansen, M. et al. 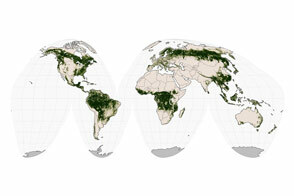 (2013) High-Resolution Global Maps of 21st-Century Forest Cover Change. Science , 342 (6160) 850–853. 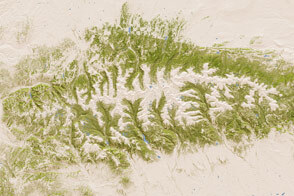 NASA Earth Observatory (2013, November 16) New Map Yields Better View of Forest Changes. 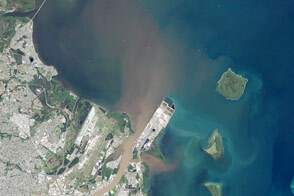 NASA Earth Observatory (2012, January 9) Seeing Forests for the Trees and Carbon. Tyukavina, A. et al. (2013) National-scale estimation of gross forest aboveground carbon loss: a case study of the Democratic Republic of the Congo. Environmental Research Letters , 8 (4) 044039.